The best way to spread Christmas cheer is singing loud for all to hear. Buddy the Elf sure knew what he was talking about. Taking a leaf out of his book is James Yorkston, who is presenting a festive edition of his folk club series Tae Sup wi' a Fifer. Established just last year as a music and spoken word night at the Adam Smith Theatre in Kirkcaldy, Tae Sup wi' a Fifer has grown into a surefire stalwart on the folk scene, with lineups to gently knock your socks off. The Christmas special is no exception, featuring King Creosote, Kadialy Kouyate and Laura Cannell. A relaxed night of world-folk it is, then ('there's a bit of banter and such, but the music is key'), but Yorkston isn't going to let the Christmas theme slide that easily. Result. That'll see us nicely into the new year, when Yorkston isn't planning to slow down much. 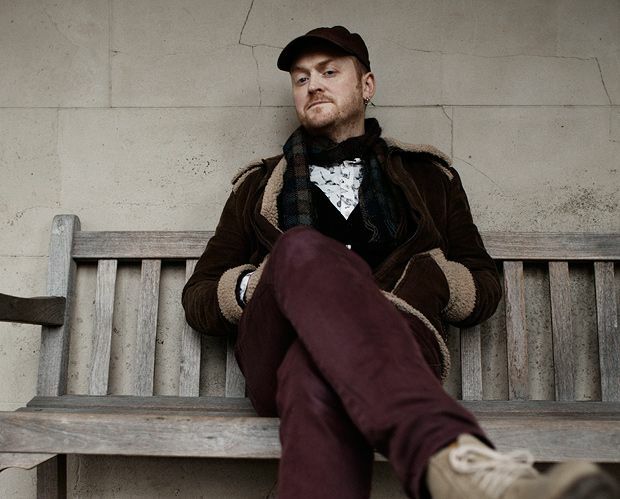 Fife's folkster James Yorkston curates a programme of nights.